GoldenCoast has reported that it will not be searching for another hot tub distribution deal once it hands over UK responsibility for the Sundance Spas retailer network at the end of the year. 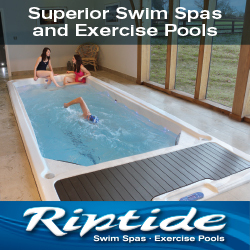 Devon-based Golden Coast is now planning to enhance its status as the UK’s largest independent wet leisure trade supply specialist by ramping up its promotion of hot tub accessories, parts, and pool products and services to its retailer network; after it relinquishes responsibilities for the distribution of the Sundance Spas brand from December 31, ahead of Jacuzzi Spa and Bath Ltd taking over the duties from January 1. By combining resources, Jacuzzi Spa and Bath Ltd has explained that it aims to use the strengths and assets that have been so massively successful with the Jacuzzi Spa brand in the UK after taking on Sundance Spas. The Yorkshire-based outfit has revealed that it will apply it experience to both current Sundance Spas retailers and potentially new dealer opportunities that develop across the country. Previously Golden Coast has been the exclusive UK distributor for Marquis Spas, which has now reverted to a Dealer Direct strategy with exhibitor and trade promotion to prospective UK retailers. The company has also helped to maintain the exclusive distribution of Sundance Spas to UK retailers and promote the iconic status of the brand for the past 18 months, including trade and consumer advertising in Hot Tub Retailer and WhatSpa? Magazines, and a dedicated exhibition stand at SPATEX this year to attract new dealers. After returning to Golden Coast’s Barnstaple headquarters, following his visit to the International Pool Spa Patio Expo (IPSPE) in Florida, Managing Director Jamie Adams told HTR that the family-run company has no intention of utilising its hot tub distribution experience by finding an alternative agreement. Instead it will be fully committed to showcasing new wet leisure and sauna products at SPATEX 2015. “We are done with hot tub distribution,” declared Jamie; “We have had the responsibility for Marquis Spas in the past and now Sundance Spas, but we will not be looking for another distribution arrangement. That is it on that front. “You obviously never know what may happen in the future, but we are not going to be searching out contacts with other hot tub manufacturers for a distribution replacement. Jamie revealed that he had been disappointed by the lack of exciting developments for the wet leisure industry at IPSPE, which will return to Las Vegas in 2015, but reported that GoldenCoast was feeling positive about the return to Coventry for the second SPATEX to be hosted by the Ricoh Arena. He reported that the company would be heavily promoting the Tylo sauna range, for which it has been exclusive distributor for over 28 years, as well as its Essentials hot tub products. “I didn’t see much to get excited about at the IPSPE exhibition in Florida, but our plan at SPATEX is to have multiple stands and, as always, we will be concentrating on promoting new products for the industry during our return to the Ricoh Arena in Coventry.